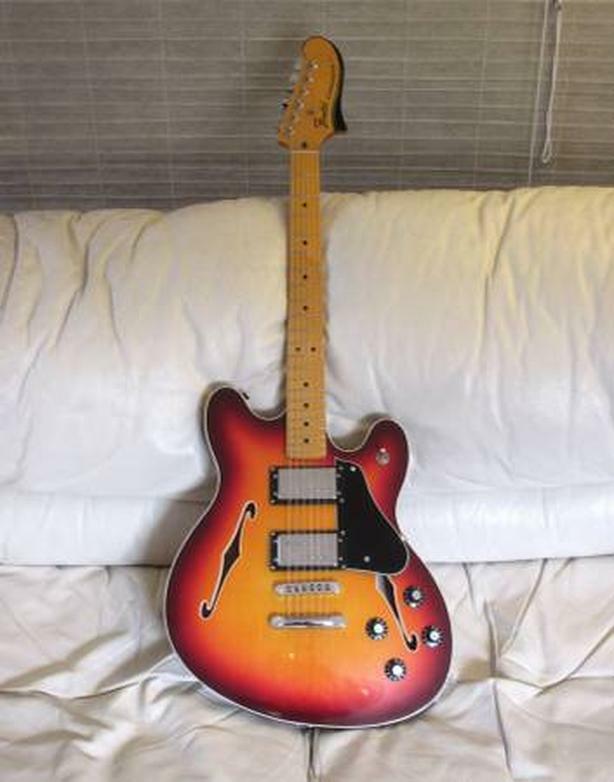 Fender Starcaster reissue, excellent condition. Thin semi-hollow offset body with bound maple top and back, bound f holes. A gig bag is thrown in. Asking $890 or best offer.